The recent crash of the Russian cargo spaceship Progress has provoked a supply crisis at the International Space Station. 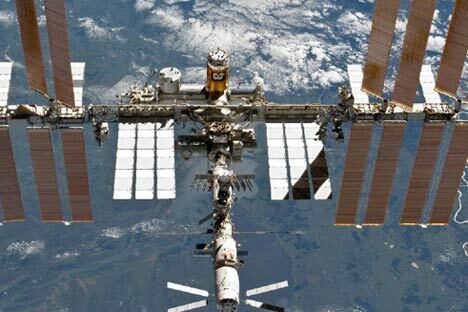 Experts have cast doubt on the reliability of Russian equipment, but fundamentally new means of delivering cargo to the ISS are unlikely to appear in the foreseeable future. This latest accident is a blow not only to Russia's reputation in the space industry, but also to the relationship between NASA and the Russian Space Agency. The 2011 closure of the Space Shuttle program led the U.S. to the unprecedented signing of a contract with the Russian Federal Space Agency (Roskosmos) on flight to the ISS. The Americans are willing to pay $753 million for the use of the Soyuz spacecraft for two years. Alarm bells were raised at NASA following this year's accidents. On Aug. 29, Michael Suffredini, ISS program manager at NASA, said that the space station may go unmanned for the first time in 11 years if manned Soyuz spacecraft are not returned to flight by mid-November. According to Suffredini, postponing the Soyuz TMA-02M launch to December will lead to a night landing in severe winter conditions on the Kazakh steppe. Over the past 11 year, the Americans have not been so harsh with their criticism. The industry has a number of key problems that need to be solved for further development to be possible. “It is definitely a crisis. We have been working through the backlog left to us from the Soviet era for a very long time now. If you look closely, it becomes clear that the entire fleet of rockets has just been upgraded, ” said a source in the space industry. “The space rocket Zenith, which was developed alongside Yuzhmash [the Ukrainian Yuzhny Machine-Building Plant] was, for political reasons not launched for a long time, as the company focused solely on its long-standing development operations. Following the closure of the shuttle program there can be no more talk of reviving the ‘Buran’ spacecraft, there needs to be a fundamentally new design here. The accident rate of Russian rockets began to increase in the late 1990's, and now it is the same as that of India, China and Japan. The accident rates of European and American rockets are substantially lower. But the U.S. is almost entirely focused on its own program, not engaging in commercial launches: launch vehicles are very expensive for their clients; and Europe is able to produce only six Ariane-5 rockets per year. Therefore, customers who want to launch a satellite cheaper or faster, are forced to use Russian Proton, Union, or Rokot. New carriers, such as the Angara, are being established. However, they require new materials and technologies. And this requires considerable resources and time. This is why the era of fundamentally new carriers will come only in 30 or 40 years. The material is based on the Kommersant-Money publication. Full text is available online at: http://kommersant.ru/doc/1761326.